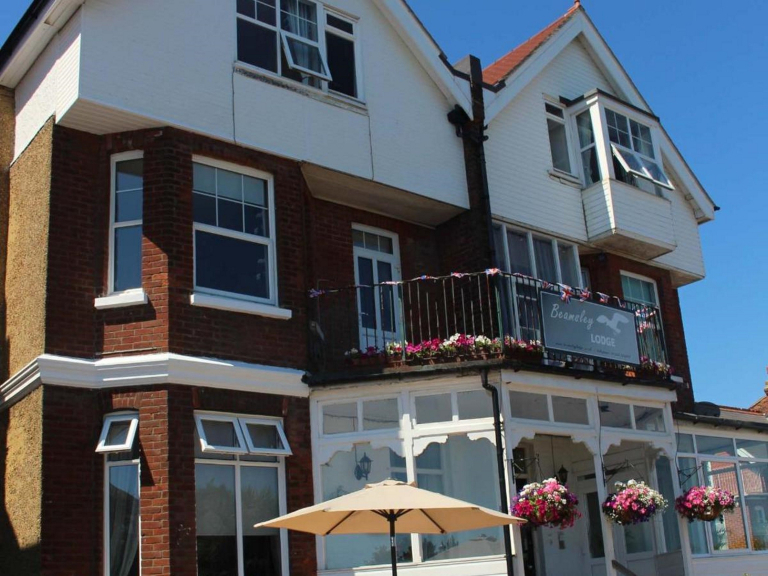 ​Allison & Dave would like to welcome you to their Edwardian guest house, conveniently located on Eastbourne's sea front opposite the bowling green, just 15 minutes walk from the pier and town centre. We are ideally situated to enjoy all that Eastbourne has to offer. Many of our rooms have a sea view as does the conservatory style lounge/bar and breakfast room, located on the ground floor where you can enjoy the morning sun and sea view while having a delicious freshly cooked breakfast of your choice. Most of our rooms have now been fully refurbished and individually decorated to a high standard, with fully tiled en-suite shower rooms. We now have 2 large Luxury Premium Rooms one located on the first floor, the other on the second. Both have stunning sea views and are stylishly decorated with high-quality furnishings. Both of these rooms benefit from a King Size Bed and comfortable seating area with the bonus of a coffee machine as well as the usual tea and coffee making facilities. 5 private parking spaces - must be reserved in advance particularly at busy times.